In the Spotlight: Charlie Cochrane Interviews Jonty, Lessions for Suspicious Minds and More! Charlie Cochrane’s Cambridge Fellows Mysteries always rank high on my Rec Lists. 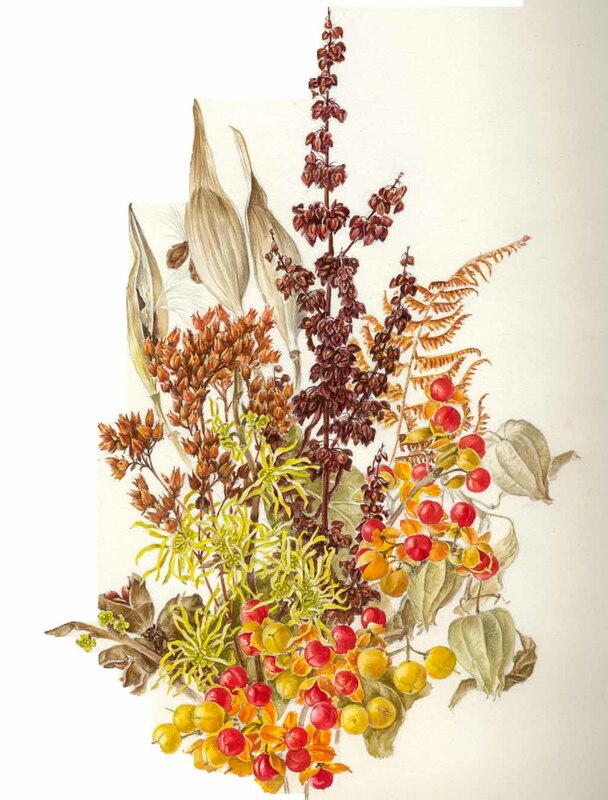 Cochrane’s writing is delightful and concise, her narrative perfect for the times along with their conversations and her characters, all of them, including Jonty, Orlando, and so many others are so well rounded and endearing that you mark every minute you are with them as time well spent. The author can make you laugh, pull you into history and make you weep with despair. But don’t take my word for it, pick up the series and make your acquaintance with Orlando and Jonty! Charlie Cochrane Interviews Jonty with Memorable Results! Not a nickname as such but Orlando seems to find no end of names to call me. “Idiot” is one of his more affectionate ones. What do you wear when you go to bed? Silk pyjamas, of course. Doesn’t everybody? Orlando and I share an updated Tudor cottage on the Madingley Road, in Edwardian Cambridge. It’s tidy without being austere and homely without being over fussy. He says my study is a mess, but I’d say his resembles a monk’s cell! What is your most prized everyday possession? It’s a little toffee tin I keep doodahs in. It was one of the first presents Orlando bought me and, while the toffees are long gone, the tin is there to remind me of our early days together. Must a gentleman reveal that? Let’s say Queen Victoria was still on the throne. My sister Lavinia taking me for a walk and collecting horse chestnuts. Then Papa teaching me how to play conkers. Rugby. Beating the living daylights out of each other in the cause of sport. What is your favourite memory from teenage days? Discovering Shakespeare and realising I’d found my metier in life, learning about him and his plays. I’m a college don, at St. Bride’s in Cambridge, specialising in Tudor Literature. I have to admit I have a reasonable private income, inherited from my maternal grandmother, so I don’t need to work, but I’d go dotty if I didn’t! Have to exercise the brain cells somehow. Maybe that’s one of the reasons I enjoy sleuthing so much, as well. What are the rest of the people at St Bride’s like? My fellow “fellows” at St. Bride’s are fairly typical of their breed. Red hot on their subjects but maybe a bit out of touch with reality. (Much as Orlando was before I came along, accidentally sat in his chair and turned his world upside down.) Dr. Panesar is my favourite of the rest. Completely loopy, totally brilliant and has a heart of gold. “Twelfth Night”. What was going on in Shakespeare’s mind when he wrote that? And “As You Like It”, of course, especially with a hero called Orlando. Oh, I have no idea. Something I didn’t realise I wanted or needed until I was given it? What kind of weather do you most enjoy? The sort of clear, sunny day you only get in an English spring or autumn, when the sky is a perfect blue. White wine. Or a really good cup of tea. What’s your favourite animal? Why? Do you have any pets? Do you want any pets? No and no. Orlando’s jealous enough of the car. If I lavished attention on a dog or cat he’d be unbearable. Orlando when he’s over thinking things. Especially when he’s thinking madly about something during a moment of high passion. In the dunderheads (by which I mean students) it’s when they’ve not completed their work on time or to the best of their ability. People spouting off about things they don’t understand, especially people who spout Old Testament law and pretend that’s Christianity. Hypocrisy in general. If you could change the way you looked, how would you be then? No different to how I am now. Although I wouldn’t mind being a couple of inches taller. A fellow student called Richard Marsters, when I was nineteen. It was nice, although I don’t think he loved me as I loved him. I suspect I was just another of his good causes he’d taken pity on. A gentleman would never reveal that. And anyway, Mama might read this and she’d be appalled. In the innocent pre-war days, an invitation to stay at the stately country home of a family friend means a new case for amateur sleuths Jonty Stewart and Orlando Coppersmith. In fact, with two apparently unrelated suicides to investigate there, a double chase is on. But things never run smoothly for the Cambridge fellows. In an era when their love dare not speak its name, the risk of discovery and disgrace is ever present. How, for example, does one explain oneself when discovered by a servant during a midnight run along the corridor? Things get even rougher for Orlando when the case brings back memories of his father’s suicide and the search for the identity of his grandfather. Worse, when they work out who the murderer is, they are confronted with one of the most difficult moral decisions they’ve ever had to make. Every comment on this blog tour enters you in a drawing for a title from Charlie Cochrane’s backlist (excluding Lessons for Survivors.) Entries close at midnight, Eastern time, on April 25. Contest is NOT restricted to U.S. entries. Don’t forget to add your email so we can contact you if you win! Must be 18 years of age or older. Prizes provided by the author and Riptide Publishing. 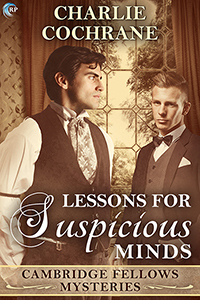 This entry was posted in 5 star Rating, Book Giveaways, Book Reviews, Books, eBooks, Historical, LGBTQ Book Reviews, M/M Book Reviews, M/M Fiction, M/M Romance, Riptide Publishing and tagged author Charlie Cochrane, Cambridge Fellows Mysteries, Lessons for Survivors (Cambrdige Fellows Mystery #9) by Charlie Cochrane, Lessons for Suspicious Minds by Charlie Cochrane, m/m historical romance, M/M Historical Romance Series, Scattered Thoughts and Rogue Words Highly Recommended Series and Stories. 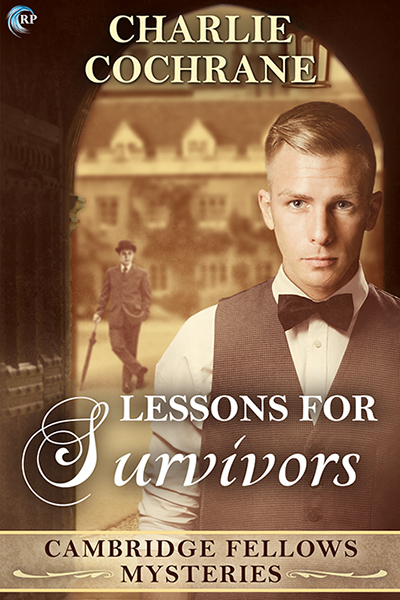 Jonty and Orlando are Back In Lessons for Survivors! Charlie Cochrane’s Cambridge Fellows Mysteries are a favorite of mine! Each book is a treasure, waiting for the reader to discover what mysteries are in store for two utterly captivating characters, Jonty and Orlando. Every comment on this blog tour enters you in a drawing for an e-book from Charlie Cochrane’s backlist (excepting Lessons For Survivors). Entries close at midnight, Eastern time, on January 31. Contest is NOT restricted to U.S. entries. 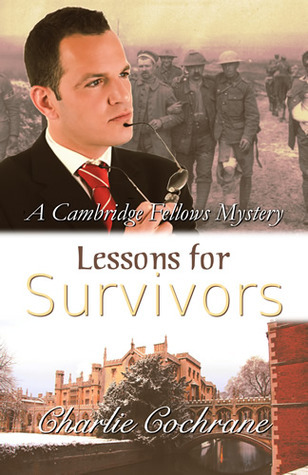 Lessons for Survivors is Book 9 in the Cambridge Fellows Mystery. Reviews for all the stories can be found at Scattered Thoughts and Rogue Words. Johnny Stewart is the great nephew of Jonty Stewart. His four part story will be related by Mrs Cochrane, official biographer to the Stewart family, over the course of this year’s Cambridge Fellows series blog tour. Roger Bradley looked out at the Thames, from his mother’s hotel suite. This was going to be a wearing evening and they hadn’t even got round to the dinner guests arriving, let alone sitting down. His godmother had burst her appendix, so a last minute replacement had to be found—probably in the form of cousin Mary—but worse still, Sophia was going to be here. He’d be the one who’d have to take Sophia in on his arm, have to put up with her flirting all evening and, worse still, also have to contend with his mother’s insinuations about what a nice couple they’d make. She’d got brother Henry engaged to be married within a few months and therefore the possibility of grandchildren pretty well sewn up, so why make such a palaver with him? And Johnny Stewart would be there. The evening had the potential to be disastrous. “Are you even listening, Roger?” His mother’s voice cut into his thoughts. “And do you agree?” She fixed him with a gimlet gaze. What would he be letting himself in for if he just said “Yes”? It wasn’t worth the risk. I span round to answer her, then decided I preferred the view of the Thames to the view of a condescending maternal face. “Since when have you appointed yourself as Mary’s knight in armour?” Roger’s mother’s voice was cool and languid, the one she adopted when she wanted to let his temper blow itself out. He ran into his maternal aunt on the way to finding a mirror, which was blessing in that she sorted it for him and kept him out of his mother’s way until he could calm down. “I hear Johnny Stewart will be here tonight. I’ll enjoy sitting next to him. There.” Aunt Jacinta added the finishing touch to the bow. “Better you than me. Johnny’s the most insufferable person it’s ever been my misfortune to come across.” Roger ran his hands through his hair. He felt a bloody embarrassing flush rising up his neck; why did Aunt Jacinta always see straight through him? Did she know exactly what was going on inside his mind to make him so defensive? Johnny bloody Stewart. Why had he got to keep coming back and making life so difficult? “That sounds like you then, dear. Peas in a pod.” Aunt Jacinta fixed him with a smile like an auger. She might look one hundred and forty in her bombazine and lace, but that look, and the machinations of the mind behind it, could strike fear in any man. “I will do my utmost.” He swallowed hard. Normally, medical students would be beneath his mother’s notice, but this one being the great-grandson of a lord made a difference and she’d been delighted to invite him in the absences of Roger’s godfather, who was at his now hopefully appendix-less wife’s bedside. How could Roger ever explain about Johnny? There were two insurmountable obstacles—finding the right words to make anyone else understand the feelings he’d had for Johnny since he first caught sight of him as a spotty youth of sixteen and having to deal with her inevitably negative reaction if he did get his point across. He supposed he was too old—and the matter too serious—to just get away with being taken over her knee, whacked, sent to his room and then allowed to come down half an hour later if he showed the right amount of contrition. Not even Aunt Jacinta could be as understanding about things as to allow that. Disgrace, disorder, his mother’s tears, his father’s horsewhip? Not that his father would actually resort to the whip, no matter how often he talked about using it on miscreants, although the outcome would be just about the same. Cut off without a penny and none of the Bradleys ever talking to him again. And while that idea might be an attractive one in the case of Uncle Frederick, the general aspect didn’t appeal. Try as he might, Roger couldn’t think of any way to sweeten the pill, whatever words he could use to describe how he felt. There was this chap at school, Stewart, J.O. Year below me; came to the school when I was seventeen. I liked the look of him from the start; he had an air about him, power restrained and all that. He matured and filled out a bit faster than more of the spotty oiks of his age. Lost most of the spots, too. Cocky little sod, though. Opinionated. “Yes, aunt?” His mind came back from school days to the present, and two females, his mother having appeared, trying to usher him out of the suite. “Daydreaming again. His worst fault,” she said, bundling him through the door. Roger reminded himself that if that remained her opinion of what was his worst fault, then all in the garden was still rosy. Johnny was already in the foyer, chatting to Sophia. His dark blond hair was under control, for once, while his blue eyes seemed to dance with pleasure at the arrival of his hostess. Roger thought his heart was going to lunge straight through his rib cage. “Thank you. It’s just an old thing.” She smoothed her dress, one which was clearly anything but old. “It would be my pleasure.” It sounded like it would be the highlight of Johnny’s evening. Roger wasn’t sure if his discomfort was irritation at his oiliness or simple jealousy. Why couldn’t he be on Johnny’s arm? “Do you think he hurt his leg deliberately to get out of it? Shall I horsewhip him for you?” Maybe only Johnny could have said that and got away with it. Roger had met his great uncle, Jonty—when he was up at Cambridge—and the man was the same. Able to charm the birds from the trees. “Only if he doesn’t enjoy the birthday dinner I have planned when we get home. And this is for me, of course. My friends. Old and new.” Mother looked graciously around her guests then took Detective Superintendent Matthew Firestone—her godfather’s—arm. “Oh, lovely,” Sophia said, slipping her arm through Roger’s. Johnny smirked at him, the swine, and they processed towards the private dining room. The table looked lovely, but the cocktails looked even lovelier, if they’d help Roger cope with the twin trials of Sophia’s doe eyes and Johnny’s…everything. Roger had given up any hope of the bloke fancying him, but the chap could at least be civil. Mary had arrived and Mrs. Bradley was asking how her journey from Loughton had been, with none of the gratitude on display she’d shown to Johnny. “My mother pushes that poor girl from pillar to post.” Roger hissed at Matthew, wondering how many cocktails he could consume and still manage to get all his sibilants out. He managed to detach himself temporarily from Sophia on the pretext of circulating and was half way through his perambulations when the manager slipped into the room, making a beeline for Matthew. He appeared to be delivering some sort of intriguing message, given the expression on Matthew’s but before Roger could manoeuvre himself into hearing range, his mother nabbed him. “I didn’t realise it was de rigeur for me to bring everyone back for tea” Roger didn’t want to talk about Johnny Stewart, not when the half heard words being spoken over his shoulder were so much more interesting. Roger bridled. How ridiculous, his own mother flirting with a man young enough to be her son! He rolled his eyes, but the protest he wanted to make got cut off, as Matthew cuffed him on the shoulder. “He was marvellous,” Mrs. Bradley said, girlishly. “Why do you ask?” And why had Matthew adopted his professional, rather than avuncular, tones? “Perhaps he’s had an accident?” Mrs. Bradley flapped her hands. “Perhaps, although the management say they’ve rung round all the likely hospitals where he’d be if he had.” Matthew shrugged. This entry was posted in 5 star Rating, Book Giveaways, Book Reviews, Book Tours and Contests, Books, eBooks, Historical, LGBTQ Book Reviews, M/M Book Reviews, M/M Fiction, M/M Romance, Riptide Publishing, Uncategorized and tagged author Charlie Cochrane, Cambridge Fellows Mysteries, Lessons for Survivors (Cambrdige Fellows Mystery #9) by Charlie Cochrane, Scattered Thoughts Highly Recommended. When I finished All Lessons Learned I found question after question popping into my mind for the author of this remarkable series. Primarily, what happens next? Or is there a next for our beloved Jonty and Orlando? Over the course of the series, I feel like I have walked the paths of Cambridge, gone punting on the river, watched honey buzzards in the sky and ridden the marvelous Flip-Flap ride during the Franc0-British Exhibition in the White City. All that was all due to Charlie Cochrane’s ability to bring us right into her story as though we were physically there ourselves. Scattered Thoughts: What pushed you forward to right one more book after All Lessons Learned (not that I am complaining)? After the epilogue which I found to be bittersweet for the couple, what prompted more in the series? Scattered Thoughts: I have to ask because I know I am thinking it so others are too. 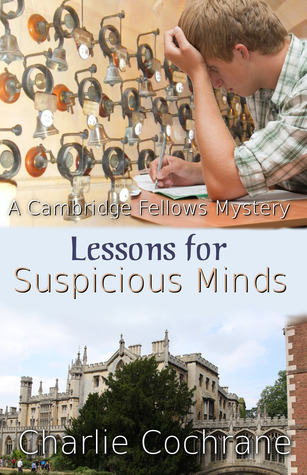 Any chance of “lost cases from the Cambridge Fellows mysteries” popping up? Stories out of sequence from the books already published. You know we just hate to let Jonty and Orlando go. Scattered Thoughts: And do you have any new series in mind for the future? Scattered Thoughts: I love a good cosy and can’t wait for this one. Thank you so much for such a wonderful series and taking time to answer my questions. To learn more about Charlie Cochrane, her books and stories, visit her website and blog listed below. Her last release, Promises Made Under Fire, Carina Press February 2013, is also available from Amazon and All Romance. This entry was posted in Book Reviews, Books, eBooks, Historical, M/M Fiction, Samhain Press, Uncategorized and tagged Author Spotlight, Cambridge Fellows Mysteries, Cambridge Fellows series, Carina Press, charlie cochrane, Cheyenne Press, m/m established couple, m/m fiction, m/m historical fiction, m/m historical murder mysteries, m/m historical mystery series, m/m historical romance, m/m romance, Q & A With Charlie Cochrane, Scattered /Thoughts Best Series, Scattered Thoughts best Historical series. Cambridge, 1919. It has been a year since Orlando Coppersmith and Jonty Stewart emerged from the Great War and reunited. Now back at St. Bride’s College, Orlando prepares to be inducted as Forsterian Professor of Applied Mathematics and needs to have a lecture prepared for the honor, a lecture he is having problems writing. Jonty Stewart is by his side as normal. Jonty recognizes that Orlando needs a distraction, and along it comes in the guise of a murder mystery. This murder mystery also comes with a time constraint. It must be solved in a month’s time or the suspected murderer will inherit a fortune and no one will be able to stop it. Then with a lecture to write and a murder mystery to solve, on top of it all Orlando is made head of a committee to investigate a crime of plagiarism that involves their collegiate nemesis Dr. Owens from the college next door. Dr. Owens has never forgiven them for solving the Woodville Ward case and has threatened to out the couple if the case against his protege continues. But the biggest fight for the couple is against Orlando’s predilection for depression and his uncertainly about his ability to not only finish the lecture but solve the mystery as well. Jonty knows that this case is just what they need to shore up Orlando’s confidence in himself and to spice up the routine they have gotten into since their return. But the closer they get to the mystery, the larger the mystery gets until even Jonty starts to doubt their ability to solve it. They have survived the war, now they have to survive their return and find the peace they are searching for. 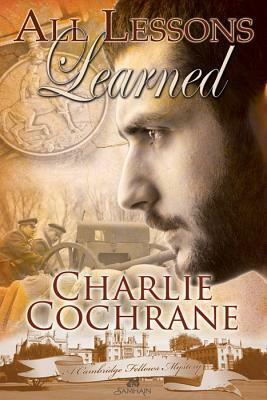 In Lessons for Survivors, Charlie Cochrance brings us into the lives of our favorite couple one year after the events of All Lessons Learned. On first appearances, things seem delightfully back to normal. Jonty and Orlando are back home at Forsythia Cottage with their needs being taken care of by Mrs. Ward and her grandaughter. Jonty has resumed teaching Romantic Literature and Orlando is being made Professor of Applied Mathematics at St. Brides. Ariadne “Peters” Sheridan is back at the college too, her new husband taking the place of Lemuel Peters, her brother, as head of the college. But just as the battles of WWI has left its scars across the landscape of Europe, so too has it left its marks upon Orlando and Jonty. Both men bear physical scars from their time on the front but they also brought home internal scarring as well. Cochrane does not dwell on this any more than Jonty and Orlando do but with subtly and discretion so appropriate to this pair we learn that Jonty is prone to flashbacks of the fighting and Orlando has nightmares and wakes up crying in remembrance. Orlando has also lost his confidence, both in himself and his abilities due to his experiences in WWI and the fact that he is prone to depression is never far from Jonty’s thoughts and ours as well. And it is just that sort of details in Charlie Cochrane books that I find so compelling and right. After nine books and several independent stories, we know these men intimately due to her extraordinary characterizations. Jonty and Orlando are not the type to give in to over sharing of any trauma, or complaining about their time on the front or their experiences in the trenches, instead they would internalize them, speaking of them only when necessary, and then probably only to each other. And these brief glimpses of how they are haunted by WWI are exactly what we would expect from them. While some things are back to normal at St. Brides, there are several gaping holes in Jonty and Orlando’s lives now as Mr. and Mrs. Stewart have passed away from influenza and it is their absence that is so greatly missed, not only by Jonty and Orlando but the reader as well. They were remarkable personalities and they are often in our couples thoughts. Cochrane ties their deaths together with the awful events of WWI forever in our minds as well as Jonty and Orlando’s, bringing the enormity of loss that occurred down to a personal and definable level. And while we recognize just what we have lost by the Stewarts passing, Cochrane delivers a older, wiser and quite funny Lavinia Broad and her family to take their place in Jonty and Orlando’s lives and our hearts. It follows just as it would in real life and further illustrates the care and art that Charlie Cochrane brings to her writing and this series. And let’s not forget that wonderful, light hearted and ebullient banter that is a hallmark of Jonty and Orlando’s relationship. It is as quick witted, warmhearted and as lively as ever. How I love listening to them love each other through snort and snark. They are equally at home in a Noel Coward play or a Sherlock Holmes and Watson mystery, although Orlando would hate to hear it. The author gives us a wonderful mystery here too, one of the best of the series. It comes complete with dead triplets, a happy widow, missing jewels, and a tragic family history to undercover. It will take everything Jonty and Orlando have at hand and more to solve this one and its resolution at the end with leave the reader as well as Jonty and Orlando with a cat’s cream face to show for it. The angst of the last two books is missing here and that’s just as well. Its time for the painful events of the past to subside and happiness and contentment to take their place, though the memories will always be there. If I have a small quibble with this story, it is that it ends a little too abruptly. I would have wished for one last scene in Forsythia Cottage or in their garden, perhaps having tea or maybe some sherry. Ariadne and Dr. Panesar would be expected shortly. Ariadne to discuss her beloved planarian worms and Dr. Panesar his latest thoughts on time travel. And in the meantime, Lavinia has phoned to discuss the exploits of her son, George with his favorite uncles and ask their opinion. That is how I leave them in my heart and mind, happy, together, surrounded by friends and family in the life they built together , pain and traumatic pasts not withstanding, to arrive at their happy every after, including the occasional eye rolling, snort and kicked shin to prove it. I do hear the rumors of a 10th book might be planned. If so, I will be “over the moon” in joy but if this is to be the last book in the series, well, I am happy here too. Thanks for a most wondrous series, Charlie Cochrane. Like the Flip-Flap, it has been a most excellent ride. The new cover design by Alex Beecroft underscores the fact that this book was published by Cheyenne Publishing and not Samhain Press as the others were. It is still as much a delight as the others, just lovely. This entry was posted in Book Reviews, Books, eBooks, Historical, M/M Fiction, Samhain Press, Uncategorized and tagged Cambridge Fellows Mysteries, Cambridge Fellows series, charlie cochrane, gay murder mysteries, Lessons for Survivors, m/m fiction, m/m historical fiction, m/m historical romance, m/m romance, murder mysteries, post WWI setting, Scattered Thoughts best Historical series. Remember last March in Maryland? The sun was shining over plants newly emerged from the ground, our temperatures hovered in the high 70’s after experiencing absolutely no winter at all. Birds were nesting, the butterflies were flying, and thoughts of picnics and outdoor barbecue dinners molded our grocery lists. Even now I can bask in the memories…. Now switch to present day and the snow flurries I saw swirling around in clear defiance that it was March. It was cold and dark clouds made sure the sun never made an appearance. I stopped to look at the pansies with their smiling faces at Good Earth and thought “not in a million years am I hanging around outside to plant you so bugger off”, channeling some Brits I know. Those of you in the middle of huge snowstorms or still in recovery from the same are probably wanting to smack me over such piddling weather. Me too. I do realize it could be so much worse but this dang climate change has upped our expectations for March beyond all reasonability, hence the whining. On the other hand, it does give me time to spend with plant catalogs, and go to a whine oops wine and cooking demonstration like I did yesterday. Had the weather been gorgeous, I would have been outside and missed a Mahi Mahi cooked in a buirre blanc sauce to die for, a lovely Coq au vin and a porc du rose, just a lovely 3 hours spent with nice people, great wines and food and a very funny Chef Read. So highs and lows, cold and hot, one friend moves away and I get the chance to meet others. 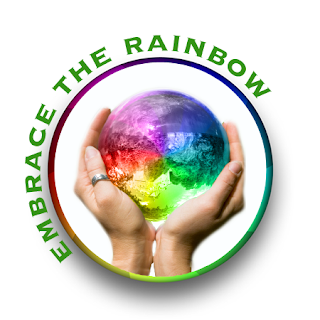 Life, the weather and changing climate keeps springing changes upon us whether (ha!) we are ready or not, usually mostly not. Hmmmm,..rambling here again. So there it is, a really good week ahead. Now if just those blasted snow clouds would go away I might just think about planting some pansies…. This entry was posted in Book Reviews, Books, eBooks, Fantasy, Historical, Loose id, M/M Fiction, Riptide Publishing, Samhain Press, Science Fiction, Shifters, Weres, Supernatural, Uncategorized, Vampires and tagged Amelia C. Gormley, Andrew Grey, Cambridge Fellows Mysteries, Cardeno C, charlie cochrane, closeted gay characters, gay characters i established relationships, gay shifters, gay vampires, gay wolf shifers, gay wolf shifters, Lessons for Survivors, m/m contemporary fiction, m/m historical fiction, m/m historical romance, m/m historical series, m/m romance, m/m supernatural romance, Treva Harte. WWI has ended and Dr. Orlando Coppersmith is back at St. Bride’s College, after being freed from a German prisoner of war camp. The cost of the war is all around him but the deepest, most traumatic blow is the loss of his lover and companion of more than a decade, Dr. Jonty Stewart, killed in action in the Somme. Orlando is consumed by his loss and going through the motions of his previous life when unexpectedly a case arises to take his mind off his desolation. A mother is sure her son did not die in battle and wants Orlando to find him or the truth whatever it may be so her mind can be at ease. The pursuit of that truth will take Orlando back to places he wished he could forget and times of untold horror and pain. But on the French seafront at Cabourg, Lavinia Stewart Broad and her family are taking a walk on the sands when she comes across the last person she ever expected to see, giving her hope and joy for the first time in ages. The impact of the war that has been left behind on those who fought cannot be lessoned in a day or even month. And not all the pain and scarring left is visible on the outside. Nothing in Orlando’s intellectual framework has prepared him for what comes next and it will take everything he has to grasp on to this new hope and hold on through to a future he thought was gone. From the opening sentence we are audience to a sorrow so profound that you will be weeping within minutes. I don’t think there is a more powerful symbol of love that can grip you except its absence after having found it and that is Orlando Coppersmith at the beginning of All Lessons Learned. The first world war has ended and its impact is hitting home as the men who survived WWI return back to their lives. Those that don’t return lie dead on foreign soil or have fled, marked as cowards, some because of what we know is PTSD, a concept so foreign that is was mocked as an excuse of cowards instead as the very real condition we know today. Charlie Cochrane brings the reader the horrors that WWI visited on all involved by making it personal with its impact on characters we have met and come to love in the Cambridge Fellows Mysteries. In the opening pages, we find out that Dr. Peters, the Master of St. Bride’s College has died. Also gone are Mr. and Mrs. Stewart, Jonty’s parents who also became the same to Orlando over the course of their relationship. Jonty has been killed during fighting on the Somme and with them everything central to Orlando’s happiness and contentment , the core that made his life worth living is shattered, leaving Orlando adrift, tethered to life by a promise, Mrs. Sheridan nee Peters, and Lavinia Stewart Broad and her family. I can think of no better way to visit the horrors that war can impart than through the eyes of a beloved character and Cochrane pulls us into Orlando’s memories with a gritty harshness not found elsewhere in the series. This is a much changed Orlando since last we saw him. No longer does this vaunted mathematician see the world in black and white. 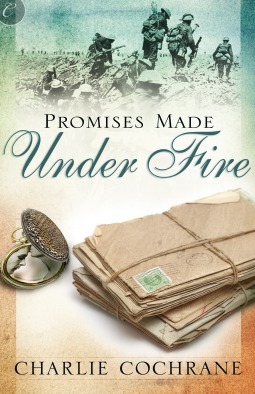 Time, loss and his experiences on the front and in a prisoner of war camp have changed him forever with one exception. His love for Jonty is as strong and final as it ever was, and now he is trying to continue living as he promised and falling short. That changed man, more than anything else Cochrane could have done, tells us how much the world has altered in order for that to happen. Have the tissues at hand, because this is going to hurt and hurt deeply. Those words might just have easily come out of the 60’s, or 80’s or even now. While the weapons and locations may change, the impact of war upon people’s minds and bodies does not and here we see the results in Orlando and many others he comes across during his investigation. Through recounted memories or more accurately nightmares, we hear the constant pounding of exploding munitions and the whistling of the shells overhead, the empty sleeves and missing legs of the remnants of the men who made it back, and the holes in the lives left behind of those that didn’t. This is a grim and necessary element of All Lessons Learned and its impact upon the reader tells you exactly how well Charlie Cochrane did her job in making it real to us too. There are also some wondrous moments in this story that will make all the pain and tears worthwhile. They will come not with great shouts of joy and fireworks but quietly, with subtly and that’s as it should be given the nature of the couple at the heart of this series. One of the elements that made Orlando’s grief worse was that he could not mourn the loss of his lover the same as any other “widower” for that was indeed what he was. Orlando’s grief had to remain hidden from all but a few who knew the couple and their true relationship. And that isolation of his grief made a deeper cut than if he might have been able to mourn with the countless others at the time. Orlando Coppersmith is a complex man and brings those same complexities of nature to everything that happens to him, good, bad or miraculous. So the events that occur later on the story won’t surprise anyone who has become familiar with his character. Somethings are truly fundamental and that is reassuring too. This is not the end of the series, although I suspect at the time Charlie Cochrane intended it to be from the epilogue here. One more book was written. And that prompted a number of questions I had for the author. I hope to have my review and the answers to those questions posted for you sometime soon. But in a way this does provide a sort of ending because the world and these men were never the same after WWI. Changes start to happen rapidly throughout the world and the gentler time of the first seven books is forever vanished. This series has become dear to my heart and we have one more visit to go. I hope you will stay with me to the end. For those of you for whom this review is your first introduction, please start from the beginning. Take your time getting to know these remarkable men, delve into life and times of England in the 1900’s. It starts out with all the joys of a slow promenade and then picks up the pace with each succeeding book. This entry was posted in Book Reviews, eBooks, Historical, M/M Fiction, Samhain Press, Uncategorized and tagged Cambridge Fellows Mysteries, charlie cochrane, Cheyenne Publishing, Favorited Scattered Thoughts series, gay mathematicians, GLBTQ fiction, m/m fiction, m/m historial series, m/m historical fiction, m/m historical romance, Neurasthenia, Samhain Press, shell shock, WWI. Well, I hate to throw this out there but this coming week is full of things I don’t like to talk about, mostly doctors appointments. I would much rather dwell on things like the arrival of Spring, plants I want to establish in the gardens, the latest antics of my terrors three, and what knitting projects are in the pipeline. But sometimes I just have to face up to the fact my health takes priority, even over the Caps and the Nats. So if things don’t exactly arrive as scheduled, this is the reason. Just saying. I want to finish out Charlie Cochrane’s Cambridge Fellows series over this week and the next, so grab onto that box of tissues and be prepared. I also have the latest Josh Lanyon book he self published after his year off. This week I am also posting books from favorite authors like B.A. Tortuga and K. A. Mitchell that were reviewed for Joyfully Jay’s Jock Week. I know you will enjoy them as well. So here is the schedule as planned. In the meantime I have become familiar with the music of Kaija Saariaho, In “Lonh”, a work for soprano and electronics, Saariaho combined a medieval love poem with bells and bird song to arrive a composition both memorable and eerie. What do you think? This entry was posted in Book Reviews, Books, Contemporary fiction, eBooks, Fantasy, Historical, M/M Fiction, Riptide Publishing, Samhain Press, Uncategorized and tagged B. A Tortuga, Cambridge Fellows Mysteries, charlie cochrane, gay closeted characters, gay cowboys, gay divers, gays bull riders, Josh Lanyon, K.A. 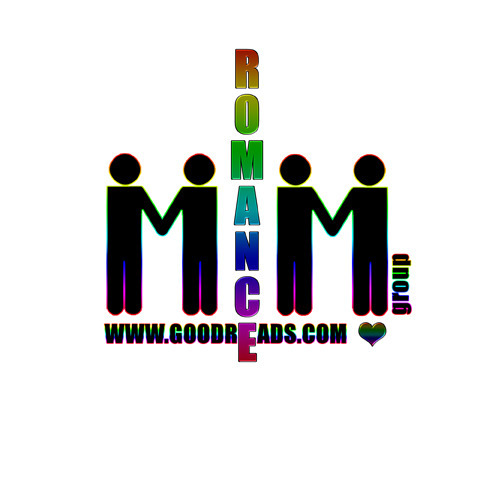 Mitchell, m/m contemporary romance, m/m fiction, m/m historical fiction, m/m romance, Roughstock series, Samhain Publishing, Torquere Holiday sips, Torquere Press.